A great start to the league campaign! 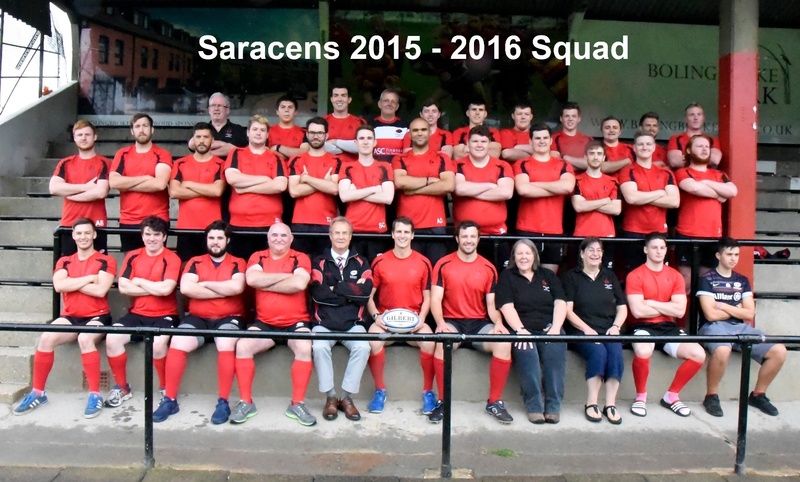 Saracens made the journey over to Ickenham for their first league game of the 2013/14 season and came away with a full bonus point victory. The game started very evenly with Ickenham applying a great deal of pressure, resulting in a panicked and scrappy start from Saracens who had to show excellent work in defence on the line to ensure Ickenham did not open their account. It took twenty minutes for Saracens to unlock the Ickenham defence when Captain Dom Smart went over in the corner, following good work from Greg Collis. The rest of the game saw Saracens to continue to exert their dominance, through great scrummaging, an effective line out and good ball distribution. Great running from Connor Reddington, Harry Kelly and Mark Lawson set up a great platform for the rest of the tries. Smart went in for a further 3, taking his tally to four for the game. Michael Scrace, added to his individual points tally, using his pace to touch down twice. Jamie Connolly celebrated his birthday, by demonstrating great footwork and pace to touch down under the posts. The evergreen Rob Eston also got in on the act, hitting a great line to unlock the Ickenham defence. The forwards were not to be left out, Harry 'Better Brother' Kelly, used his pace effectively to touch down in the second half, with Zak Nutley outstripping the other support runners to take a pass and touch down with the last play of the game. Michael Scrace kicked very well and added a further 12 points, converting 6 of the 10 tries scored. Next week see the first XV face a sterner test in Hendon, at home. All support will be greatly appreciated.